According to a new study by the American Association of Orthodontists, over 1/3 of Americans are unhappy with their smile. Moreover, 36% of Americans believe their social lives would be better if they had more attractive teeth. If you postpone necessary dental care, you’re not only looking at cosmetic repairs down the road. You may also be taking unnecessary risks with developing chronic health conditions and irreversible disease. While many people fear the dentist enough to avoid a simple dental check-up, preventative dentistry is an essential part of life that can improve your entire life let alone your smile. What Exactly Is Preventative Dentistry? Preventative dentistry is the action and practice of keeping your teeth healthy. While this begins and ends at home, regular dental appointments ensure the pros catch whatever you miss. Why is this so important? Because many diseases that are easily missed by other medical check-ups display early oral symptoms. Periodontal disease (gum disease), the leading cause of tooth loss, occurs in approximately 50% of all adults over the age of 30. And yet, few people know they have the condition until they’re diagnosed by a dentist. Of course, by the time the symptoms are obvious enough to force a dental visit, the condition is often advanced. While initial stages of gingivitis are easily treated and reversed, advanced periodontitis can lead to diabetes, high blood pressure, and cardiovascular disease. The ultimate goal is the keep your original teeth as long as possible, but lifestyles, habits, and stress can challenge that plan. Over time, stress can lead to habitual bruxism (teeth grinding) which can lead to premature aging, jaw displacement, bite issues, and cracked or lost teeth. Bad diets can lead to extensive tooth decay. And even smoking and social drinking can create cracks in enamel, tooth sensitivity, and severe staining. Quite often, the only options are expensive or intrusive dental treatments. Teeth cleaning may be enough in some cases. But if you put off dental care too long, you may require other options such as bonding, veneers, fillings, root canals, dentures, or even dental implants. Depending on the required treatment, you could be looking at a bill of hundreds to thousands of dollars per tooth. Compared to that, the cost of regular dental check-ups is pocket change. Daily tooth cleaning should begin as soon as a child’s first tooth erupts. Once teeth are established, brushing twice daily and flossing once per day will help keep teeth clean and strong. The earlier these habits are established, the better off you’ll be. Diet and personal behaviors are also important concerns. Natural foods are far better for your body and teeth than sugar and processed food and beverages. Alcohol and smoking not only destroy the body, they also weaken and damage the teeth. 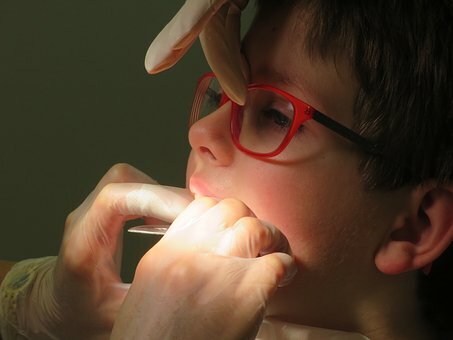 And while bi-annual dental visits have been encouraged for decades, new findings by the ADA suggests each dental check-up should be tailored to the patient’s health needs and the dentist’s findings. So once a year may be all you need after all. That’s definitely something to smile about. Previous Previous post: How Can I Make My Restaurant More Successful?